Bonnie Shope (Miss Bonnie) Weaver, 104, of Birmingham, Alabama, formerly of Calhoun, Georgia, passed away on Monday, August 6, 2018, following several months of declining health. She was born September 22, 1913, in Ranger, Georgia, the second of five children born to David C. Shope and Ethel Anderson Shope. She was the widow of Oran Weaver, a former pastor of several local Baptist churches. Bonnie had lived most of her life in Gordon County, but for brief periods in her childhood lived in Cairo, Georgia, and Pine Bluff, Arkansas. At age 96 she moved into the home of her daughter, Fran Duncan, in Ocala, Florida, and the following year, they moved to Birmingham, Alabama. War II years, and the many inventions and discoveries made in her lifetime. She is pre-deceased by her parents and her siblings, Millard Shope, Dexter Shope, Thelma S. Greeson, and Raymond Shope; and her daughter-in-law, Betty Weaver. Roth; and one great-great granddaughter, Charli-Rae Duncan. She is also survived by two brothers-in-law, Sala Weaver (Lela-Mae), and C. L. Weaver, and many nieces and nephews. was the oldest living member of Pleasant Valley Baptist Church prior to her death. She had many hobbies over the years, which included various kinds of needlework, reading, quilting, and gardening, and most of all, cooking. Her oven-fried apple pies were always a welcomed treat at family or church dinners. 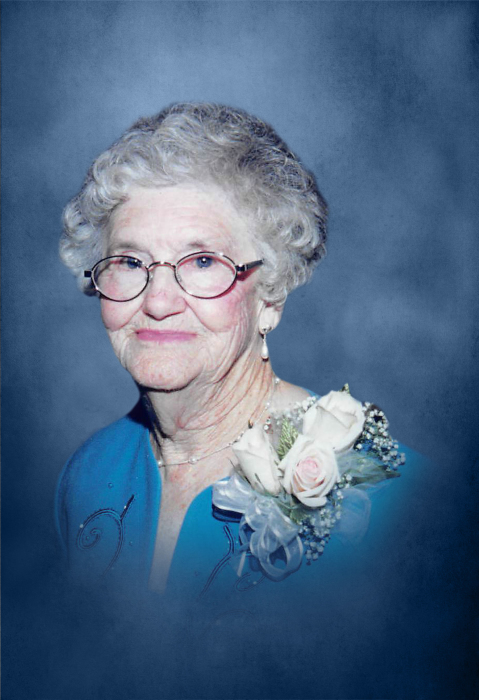 She was always known as a kind, compassionate person, qualities which had earned her the title, “Miss Fair Haven” at the Fair Haven Methodist Retirement Home in 2012. Services to honor the life of Miss Bonnie Weaver will be held Saturday, August 11th at 2:00 PM from Pleasant Valley Baptist Church, with burial to follow in Fain Cemetery. Rev. Lamar Bearden will officiate, with Keith Duncan delivering the eulogy. Grandsons will serve as pallbearers. Music will be arranged by Darlene, Abby, and Meagan Wright, and Michael and Janice Hunt. The family will receive friends at Max Brannon and Sons Funeral Home on Friday, August 10th from 5:00 PM until 8:00 PM, and on Saturday, August 11th from 1:00 PM until the service hour of 2:00 PM at the church. Flowers will be accepted, or memorials may be made in her memory to one of the following; Gideon’s International, P.O. Box 140800, Nashville, TN 37214-0800; the Youth Scholarship Fund at Pleasant Valley Baptist Church; or to the Legacy League Scholarship Fund, Samford University, 800 Lakeshore Drive, Birmingham, AL 35229. Condolences may be left at www.maxbrannonandsons.com. Funeral arrangements for Bonnie Shope (Miss Bonnie) Weaver are under the care and direction of Max Brannon and Sons Funeral Home of Calhoun.